When I was a child, I wanted to be a paleontologist. In fact, all through high school I envisioned a career of digging through dirt in search of hidden fossils, carefully reconstructing a monstrous form in a laboratory and revealing its enormity in a museum for all to see. Even throughout high school, I seriously considered uncovering prehistoric remains professionally. Alas, it was not to be. Yet the desire remains, and is being fed continuously by Minecraft. On the off chance that anyone reading this blog is not intimately familiar with Minecraft already, it is a sandbox game currently in alpha. In the normal Survival mode, players appear on a desolate island in which everything, from the sand and trees to the roaming livestock, is composed of blocks. In most cases, these blocks can be dismantled from their component parts and put together again to form whatever your heart desires. 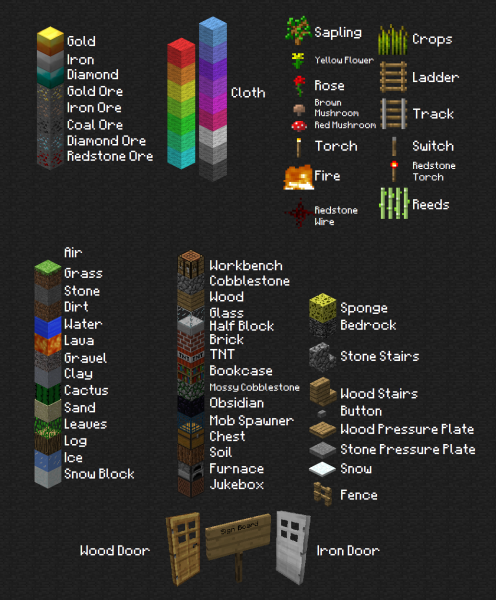 These parts can also be used as components to create other objects, like stairs, glass windows, swords, and pick-axes. These tools must be put to good use, and quickly, because if players do not have a well-lit shelter by nightfall, monsters will appear and kill the solitary individual. Although I know what every block in the game looks like, the experience still generates a great deal of mystery. As Gerard Delaney of Binary Swan says of Minecraft in his excellent post on the game, “Minecraft grows into a thing of beauty, creating a gameplay storytelling loop where I am constantly creating new narratives within a growing ecosystem. And it is all my own.” As night creeps in upon my small and insignificant sanctuary, I cannot help but explore the story’s unknown origins. How did I come to arrive at this island alone? Have I been shipwrecked here? If this island is uninhabited, why are there domesticated animals roaming about? Why do monsters, some of whom were perhaps once human, come out at night and roam the darkness? Although I am familiar with most aspects of the game, the strangeness of the environment hides potential. Would I be surprised if, when spelunking underground, I chanced upon a tribe of Fraggles? I don’t think so. There are mysteries in the land itself. The entire landscape is randomly generated, meaning my chain of islands and cave systems are entirely unique. When I cross a bend to find a hidden lake, tucked away between two cliff sides, I experience a feeling I consider an echo of the those felt by Ferdinand Magellan or William Clark. The excitement I once envisioned in excavating fossilized remains of a pachycephalosaurus is recreated when I find precious ore deep in the crevices of the earth. Even more exhilarating, and even frightening, is when I accidentally dig into a vast cave system. The darkness ahead is completely unknown. Sometimes what I think to be a small indent into the side of a wall opens up into a labyrinthine network of rooms, underground lakes, lava flows, and sheer drops into the inky black. Even with torches to light my way, and a secure knowledge of the game’s mechanics, I feel enveloped by mysteries, all hidden beneath the crude polygons of the surface world. 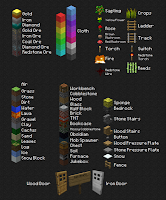 Knowing Minecraft is in alpha, and therefore liable to change day by day, creates a very different experience as well. 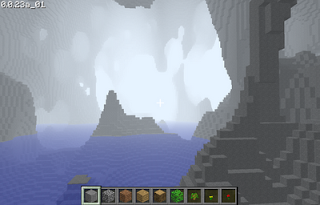 When I log into a new version, I can entertain the idea of new hidden treasures hidden away in lakes and caverns. Perhaps Markus Persson, the creator of Minecraft, has placed some Undine maiden in the sea, waiting for me with a fabled sword. Or perhaps I will come upon the charred remains of another island inhabitant. The game itself is an emergent creation. I recommend you get it while it’s still a hot shifting mass of unexplainable delight. Can you dig it? Minecraft is a fascinating phenomenom. I've never before heard of a game that in it's *alpha* stage managed to pull in pretty much all of the gaming world - and that at the time and in an environment where both a new installment of Halo and a new Civilization appeared. Everybody's playing it. Gamers, game writers (obviously), game developers, just about everyone who's talking about games online is playing or has been playing or indeed WILL play Minecraft now. It's like a virus. A viral form of crack cocaine that tickles a sense that seemingly needed tickeling pretty badly. What Minecraft superficially reminds me most of is 16bit era Zelda - which is probably intentional. Other than that, it is a game that has a *load* of different layers. Survival mode isn't just about surviving, but also about exploration. In any direction really. Once I decided to just go, build a boat and sail into dawn. Which was how I discovered the highest mountain in the world and started building my castle there. Multiplayer really becomes something like collaborative art. A bunch of people building something great with digital Lego. So that's one other part. Constructing. Building. Going crazy. There's enough whacky examples out there on the net: Gigantic metal spheres, Bioshock's Rapture & Columbia. All these parts, exploration, survival and crazy creativity combined make up something that's just not been there before. Minecraft is unique. And on my list it's a strong contender for Game of the Year. An alpha version of an indi title that grips the whole gaming sphere, creators, critics and consumers alike. If that's not GotY worthy, nothing really is. Oh dear god you're right. I'm infected with a terrible virus. Excellent comment. An interesting about the multiplayer too is that, despite how great the game is already, it reveals some features I would still like to see. I think this is one of those games that remind us of a great unlocked potential in this genre. I'm certainly keeping it mind for GotY. I wonder if Markus has seen a dramatic drop in players post-Civ 5 release. Thankfully I don't have the time for Civ, so I can still relish the joy of Minecraft. Notch, the one-man team who made Minecraft, is now pulling in $250,000 from sales of this alpha game. Quite amazing. Minecraft is starting to remind me of Far Cry 2 or Eve Online. Like the aforementioned games, I probably won't get too deep into it, but I love hearing people tell stories about what happened to them in the game's world. I'll be interested to see whether any kind of mission structure or explicit reward system is ever implemented.